Creating those special moments for your child, niece, nephew or grandchild are rare, a moment they always remember, look back and treasure the special time shared with you. It is with that in mind that I write about Maja’s Kitchen Gingerbread House Decorating and Candlelight Teas classes for children ages 5 to 12 and their adult companions. 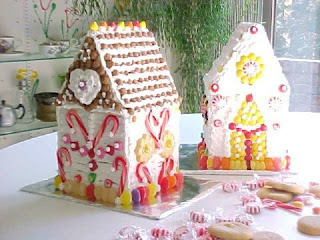 Each child decorates one house with the help of the adult. Every child receives a pre-built house, a pastry bag filled with Royal Icing, and lots and, lots of candy to choose from to decorate their special Gingerbread House for the holidays.